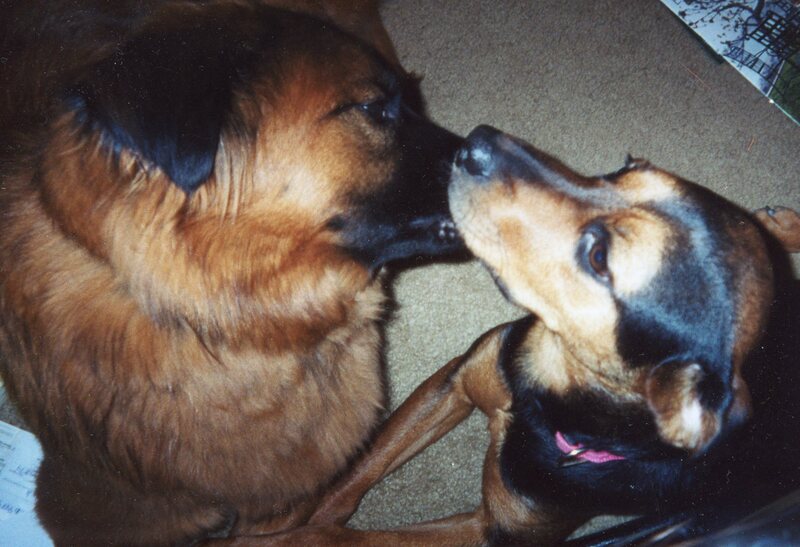 Shoeful of Drool was inspired by Dudley, a golden retriever/German shepherd mix, and Zoe, a black & tan hound mix (maybe Doberman). They would stand right beside me as I doled out their food, slobbering the whole while. In the summer when I wore sandals, it invariably ended up in my shoe. 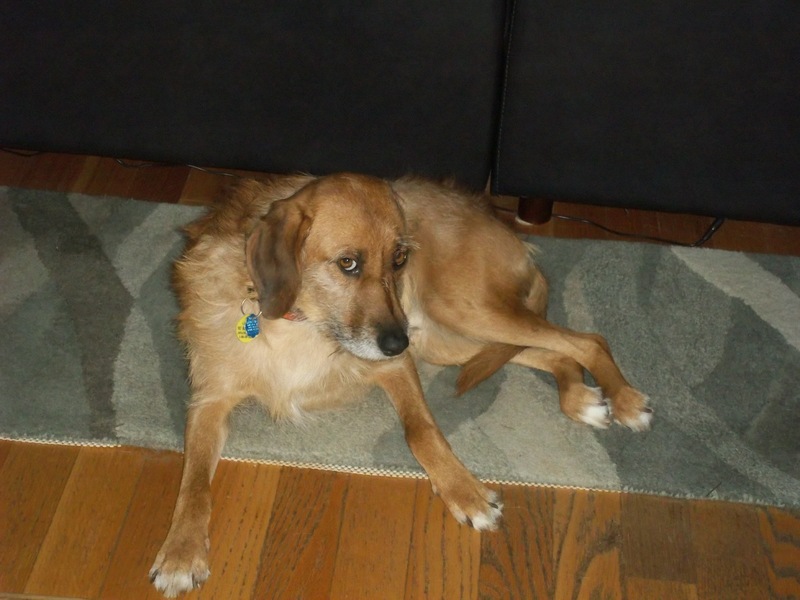 Dudley was a rescue from Hurricane Floyd and lived with me from October 1999 until he died in December 2012. Zoe came from the pound (by way of a friend) and lived with us until she died in June 2011. One year and one day after I lost Dudley, I adopted Louie from Saving Grace Animal Rescue. He is very different from both Dudley and Zoe, for starters he rarely drools. The only time I see slobber from him is when he’s hot in the summertime. He has the same playful personality and sense of gratitude that I think all rescued dogs have. I believe having dogs has made me a better person and they certainly make me laugh every day. I hope that sharing some of their exploits will make you laugh, too. I have nominated you for The Missy Award. It’s all about loving animals, and I know you really love animals. You can read all about your new award here: http://thek9harperlee.wordpress.com/2013/03/28/the-missy-award-its-all-about-the-animals/. Congratulations and hugs and kisses to all the animals who have been a part of your life . . . and all the animals who will be a part of your life! I am thrilled because I do love animals and honored for the recognition. Thanks! Glad you dropped by. I’ll check out your book! Congratulations on that award! I just found your blog and am glad I did..! I’ll be back.